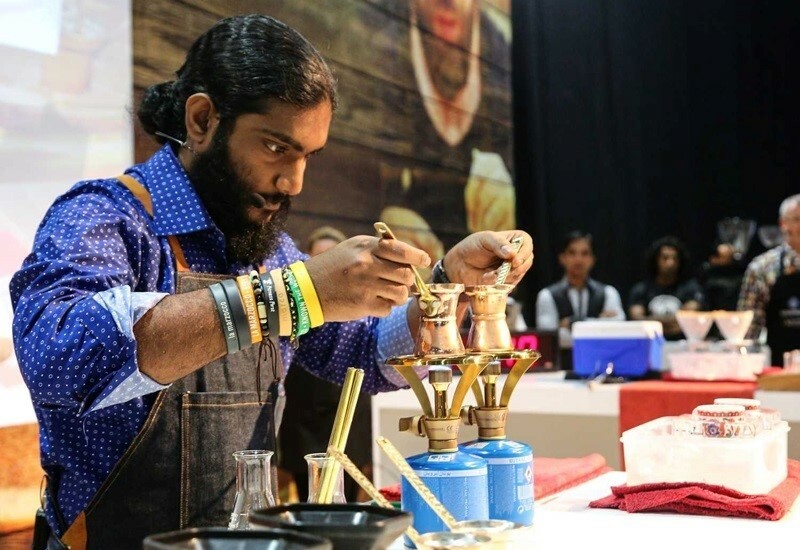 Karthikeyan Ranjedran, a UAE-based barista of Indian origin, won in the second MENA Cezve/Ibrik Championship at the Speciality Food Festival (SFF) last month. SFF was one of three niche food events that ran from November 7-9 at Dubai World Trade Centre (DWTC). Ranjendran, whose regional title follows an earlier victory in the inaugural UAE Cezve/Ibrik Championship at Gulfood in February, impressed the judges with his signature blend. This included balsamic vinegar, cocoa reduction, vanilla raspberry tea and gelatine solution. The judging panel comprised Konstantinos Komninakis, the Cezve/Ibrik world champion in 2016; Stavros Lamprinidis, the 2014 world champion; and experts from across the UAE coffee industry. As the MENA Cezve/Ibrik Championship winner, Ranjedran will represent the region at the World Championship 2017 in Budapest, Hungary. “I am extremely excited and happy to have won this prestigious title and would like to thank everyone who has been part of my journey to the top,” he commented. With the aim of promoting excellence in the centuries old art of brewing Ibrik coffee — the traditional technique of using a small, long-handled pot that is famously known as Turkish coffee — the MENA Cezve/Ibrik Championship was organised by the Speciality Coffee Association of Europe (SCAE).